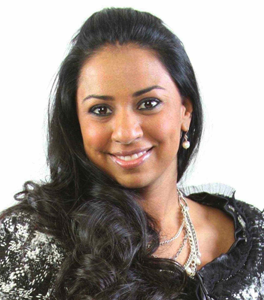 Anu Bhardwaj is the founder of Women INVESTING In Women Institute, which gathers passionate individuals around the world to create ways to invest in women globally and support the economic empowerment for women and girls. WIIW has caught on with 150,000 followers in 100 countries. Amanda Owen, with her background as a counselor and consultant for twenty-five years, was a workaholic who learned a powerful lesson: when the giving is out-of-balance with the receiving, you don’t last. In this show, and in her book Born to Receive: Seven Powerful Steps Women Can Take Today to Reclaim Their Half of the Universe, Owen shares why learning to receive—and not just give—empowers women and is a key to their entrepreneurial success. JR Marriott, CEO and designer of Tantrum Handbags, is an entrepreneur and mother of twins who decided, out of frustration with frantically digging through her purse to find her keys, to design the perfect functional—yet stylish—handbag for women. She talks about what it takes to be an entrepreneur and what she’s learned from running her company for seven years. 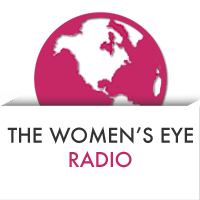 We wanted to alert you to some of the great guests coming up on our Spring TWE Radio Shows with host, Stacey Gualandi. 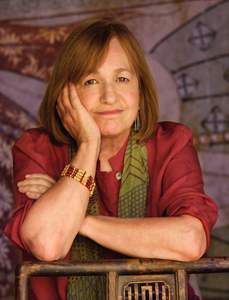 Our March 22,23 2014 show features three women who are making a difference in the world in their own way. They also happen to be from Phoenix, the home of TWE Radio. 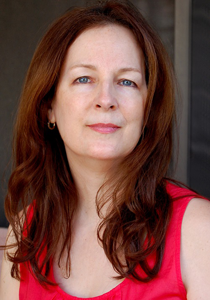 Amanda Owen, with her background in social work and a twenty-five year practice as a counselor and consultant, was a workaholic who learned a powerful lesson: when the giving is out-of-balance with the receiving, you don’t last. In this show, and in her book Born to Receive: Seven Powerful Steps Women Can Take Today to Reclaim Their Half of the Universe, Owen shares why learning to receive—and not just give—empowers women and is a key to their entrepreneurial success. She also provides practical tips and tools women can use to establish this critical balance in their lives. 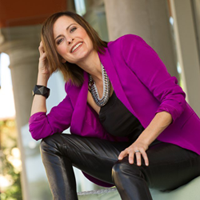 JR Marriott, CEO and designer of Tantrum Handbags, is an entrepreneur and mother of twins who decided, out of frustration with frantically digging through her purse to find her keys, to design the perfect functional, yet stylish handbag for women. She talks about what it takes to be an entrepreneur and what she’s learned from running her company for seven years. Jenny Bowen, the author of Wish You Happy Forever: What China’s Orphans Taught Me about Moving Mountains, founded her non-profit Half the Sky after adopting her orphaned Chinese daughter and realizing that many children in China who lost their families were fed and sheltered, but not loved. They could not thrive. Half the Sky provides model programs and trains caregivers in China to enrich the lives of orphaned children so they know that their lives matter to someone. 100,000 children’s lives have been transformed. Yasmina Zaidman, is the Director of Strategic Partnerships at the non-profit Acumen, which invests in businesses and empowers entrepreneurs to reverse what they perceive as the #1 global problem: poverty. So far, it has impacted 100 million lives. 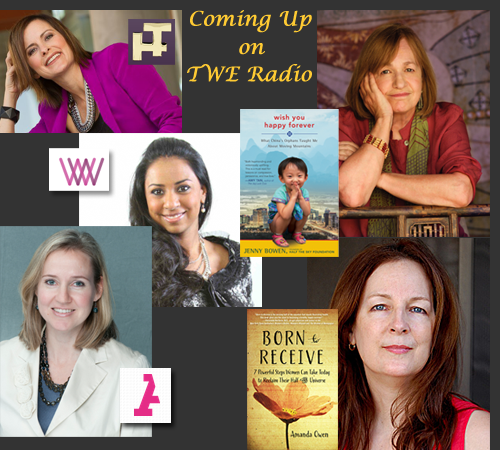 From authors to entrepreneurs and global changemakers, tune into these upcoming TWE Radio shows. Podcasts will be available on iTunes after these programs air.